Without really realising it, it seems that citrus fruits have come to play a leading role in my attempts at a healthy day to day. Cut into wheels and popped into detox water (does this actually work? Who knows but I do it anyway) or as a mid morning snack while I wait it out til lunch, it seems I always have a stack of oranges and lemons on the go. Naturally, after all that being good (re: morning routines and 8pm – 8am phone ban), come the end of the week I’m ready to let my hair down. 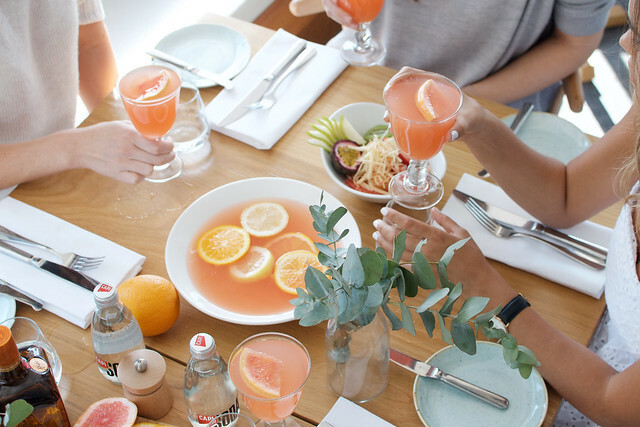 And clearly that means some sort of brunchy situation with friends. 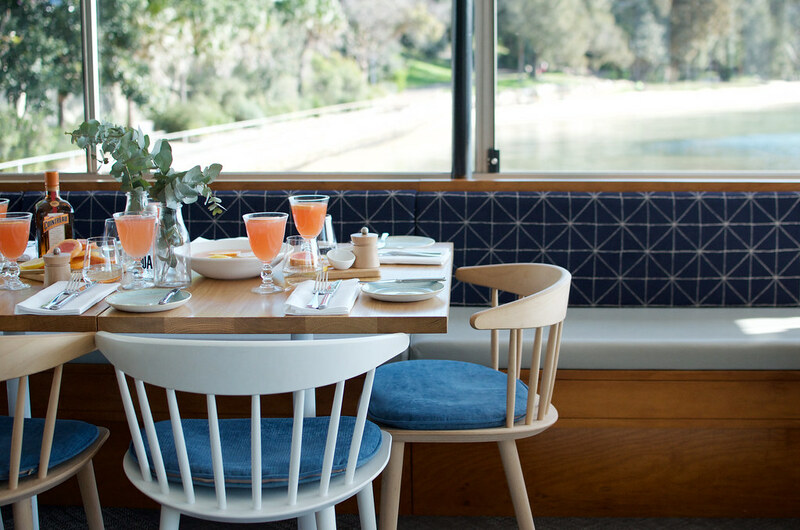 It might sound basic but I’ll be the first to admit that breakfast + a side of lunch + a cocktail in hand = my jam. Or should I say marmalade? 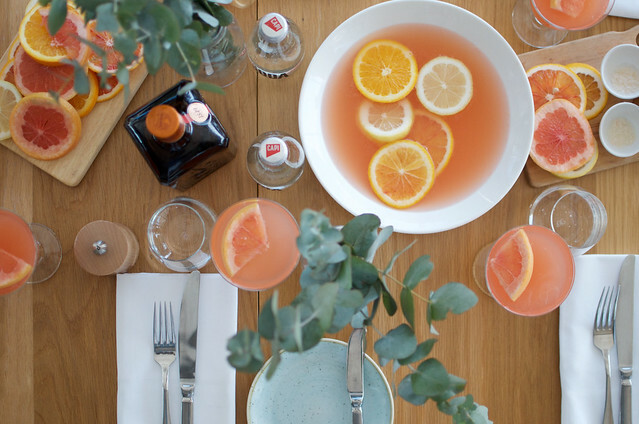 On a recent trip down under, Cointreau asked me to get creative once again with their signature Cointreau Fizz cocktail (Cointreau, lime + soda), to celebrate the start of the Spring Racing Season. 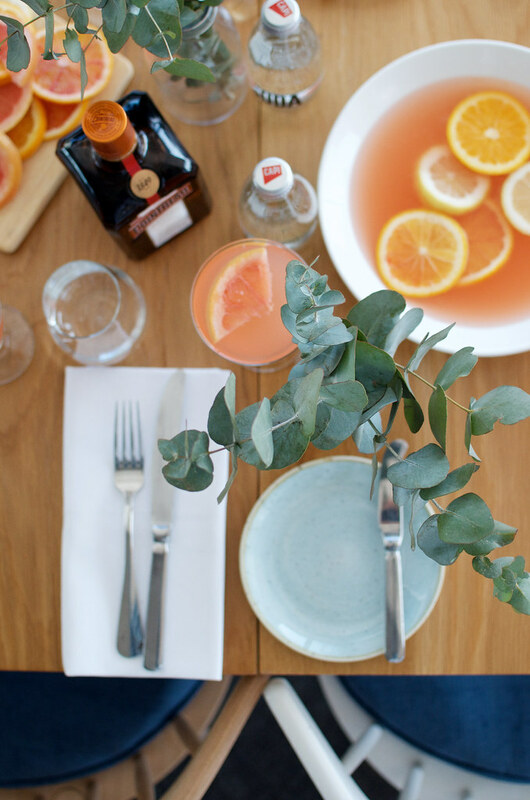 In ode to my clear love of all things citrus and eating a meal between breakfast and lunch, we decided to throw a fruity inspired get together for my friends. 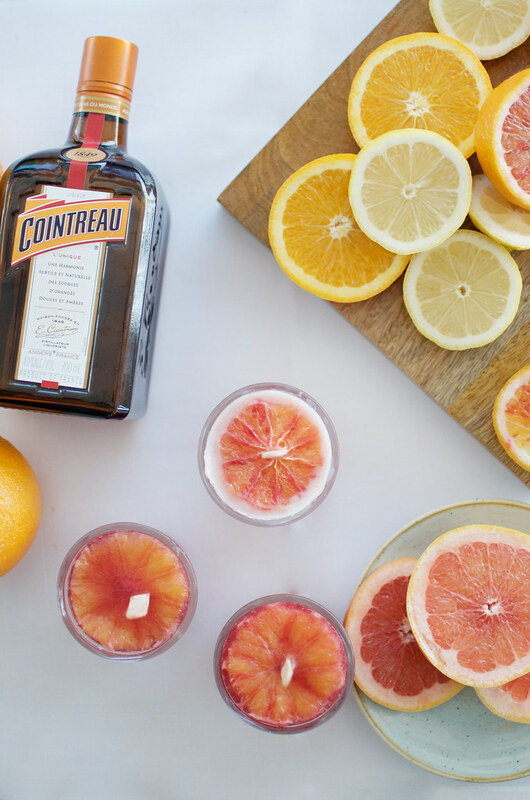 For the occasion we created a Cointreau Fizz with a twist – the blood orange version. But we thought, why stop there? 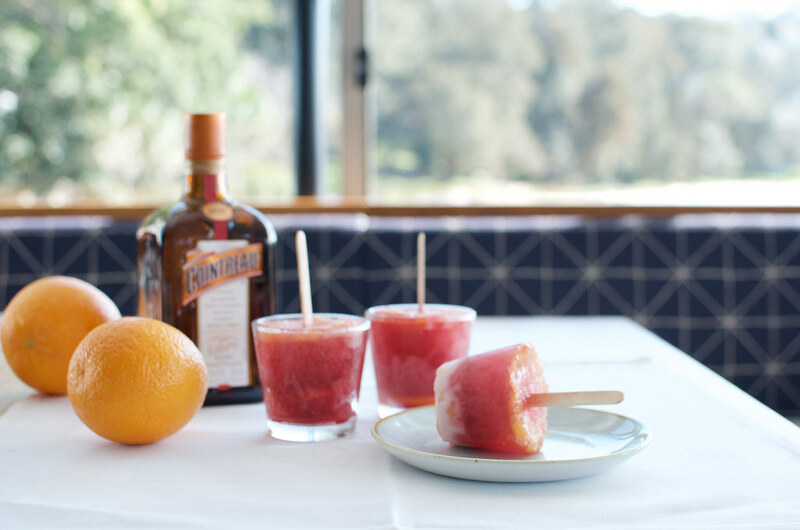 On a whim we also decided to turn that cocktail into a popsicle, a treat that’s pretty as a picture and easy as to make. The freezer does all the work for you! Read on for the recipe for both the cocktail and the popsicle! Blood orange or orange slices with rind removed and slice cut in the middle. 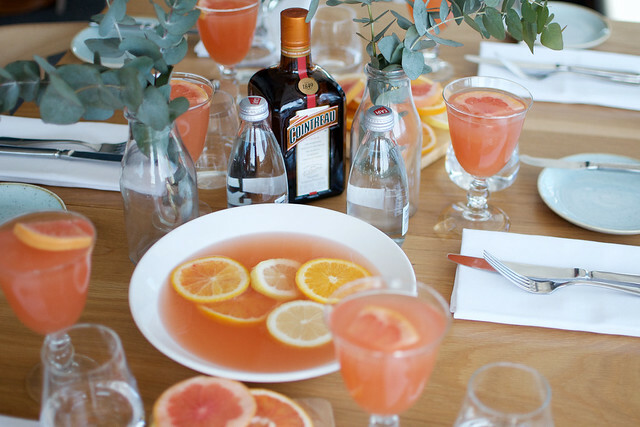 Add the Cointreau to the mold. Add the soda on top to just below the rim of the mold. 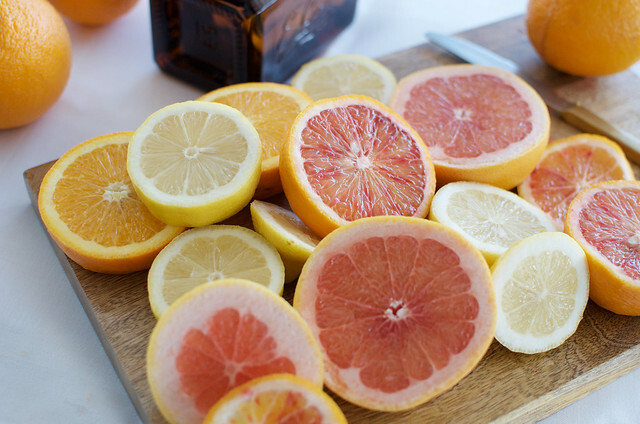 Add the orange slices on top. 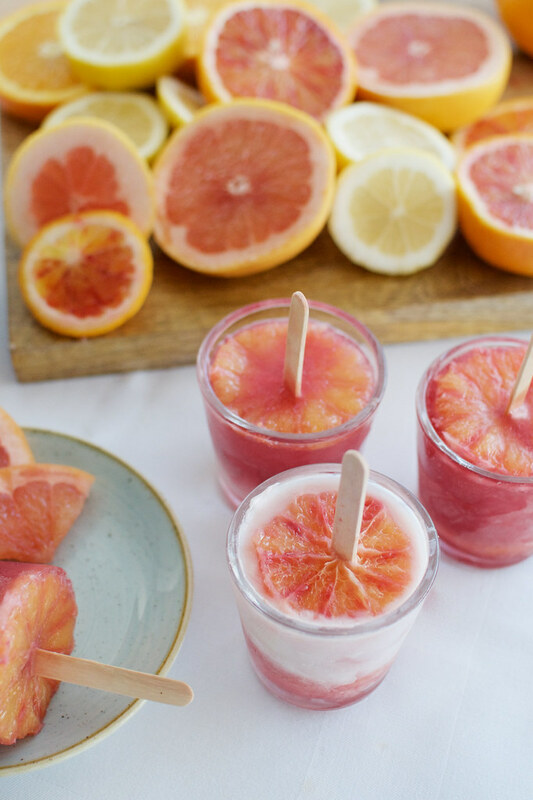 Slide the popsicle stick through the hole in the orange so they stand up straight, and then freeze overnight. To remove from the mold, simply run warm water over the outside of the old. For a variation, we added a table spoon of yogurt to some of them, and they tasted delish! 3. 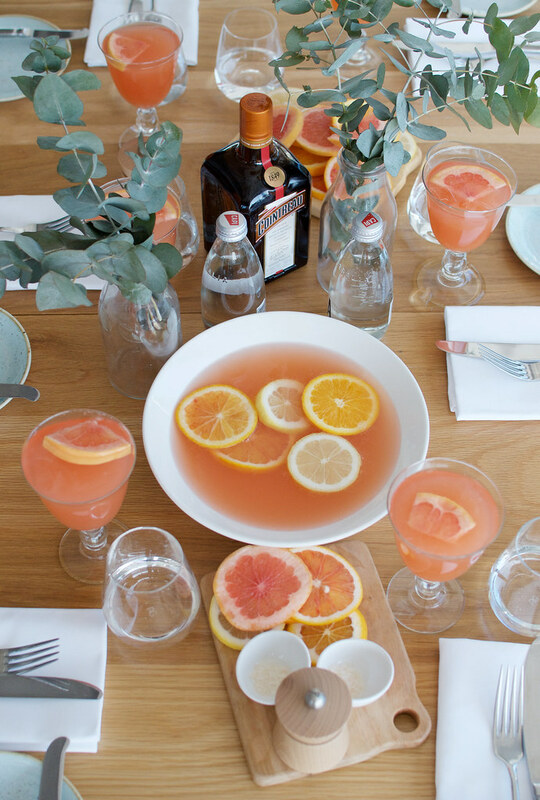 Add the Cointreau, blood orange juice and lime juice. 4. Muddle/mix with a spoon. 5 . Top with soda water. 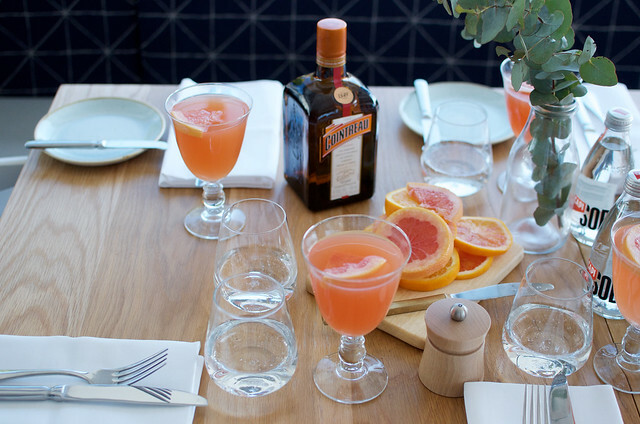 This post is in collaboration with Cointreau.